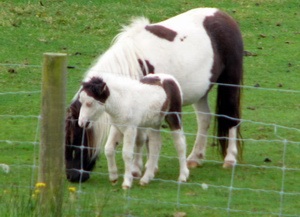 Miniature Horses of New Zealand, breeding conformation, versatility and colour. Welcome to our Miniature horse stud. 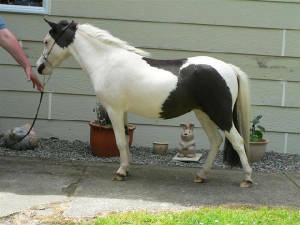 Our mares have Buckaroo, Flying W Farms, Kokomos, Dell Tera, Sierra, Kobecks , Twin oaks and many more usa blood lines. Come on in and have a look around, we would love it if you signed our guestbook, and please leave your website url so we can visit you back. CHINA DOLL AS A 2 YEAR OLD. Email me if you want added to our links page. Please click on the link below to sign our guestbook.